Without question, the job of a modern law enforcement officer comes with certain risks, especially for new cops. As we face the challenges that come with policing, we owe it to our fellow officers, our community and ourselves to prioritize officer safety. Here are eight things rookie officers can do to be safer. Even in the busiest jurisdictions, there is a certain amount of discretionary time during a typical patrol shift. Officers should use this time while they patrol a district to mentally play out scenarios and priority calls at local businesses and buildings. This will not only improve response, but also allow officers to focus on additional threats as they respond. Mentally preparing for things like ideal tactical positioning prior to the call, possible response options and terrain considerations takes some of the unknowns out of potentially stressful situations. Professional athletes have used mental rehearsal as an effective form of preparation for decades. There is no reason law enforcement should not use this approach as well. If you analyze police use of force videos, you will discover that in most incidents, pre-attack indicators were presented to the officer and either completely ignored or recognized too late. There are pre-attack indicators that should immediately be addressed by officers. Clinched fists, pre-fight stretches, target glances, subjects who conspicuously looking around, and subjects saying “huh” or even making comments about not going back to jail, are just a few potential indicators of an impending attack. Learning and understanding pre-attack indicators is a critical step toward avoiding use of force incidents. An officer must ensure the tools they carry on their duty belts or load-bearing vests are in good working order and can be easily accessed and deployed when required. To that end, when officers check their gear before each shift, they should also practice accessing that gear. Five draws of a gun, TASER or flashlight adds up to hundreds of draws each month. Finding a safe location to conduct these draws and function tests only takes a small amount of time but pays off big. The more experience you gain as a law enforcement officer, the more you recognize the value of excellent communication skills. Use of force incidents can be minimized or avoided through effective communication. The keys to improved communication skills are active listening, clear and confident speaking without sounding arrogant or condescending, and the ability to respond to verbal confrontations without taking it personally. Too many officers are killed in traffic collisions. For a patrol officer, a tremendous portion of the shift is spent on the roadways. Not only should an officer be extremely confident in their driving ability and familiar with the maneuverability of their patrol vehicle, but they should also understand the importance of observation and awareness of other vehicles. The same, if not an even greater level of awareness, should be dedicated to scanning and maintaining reactionary gaps while driving as you would while responding to active disturbances. 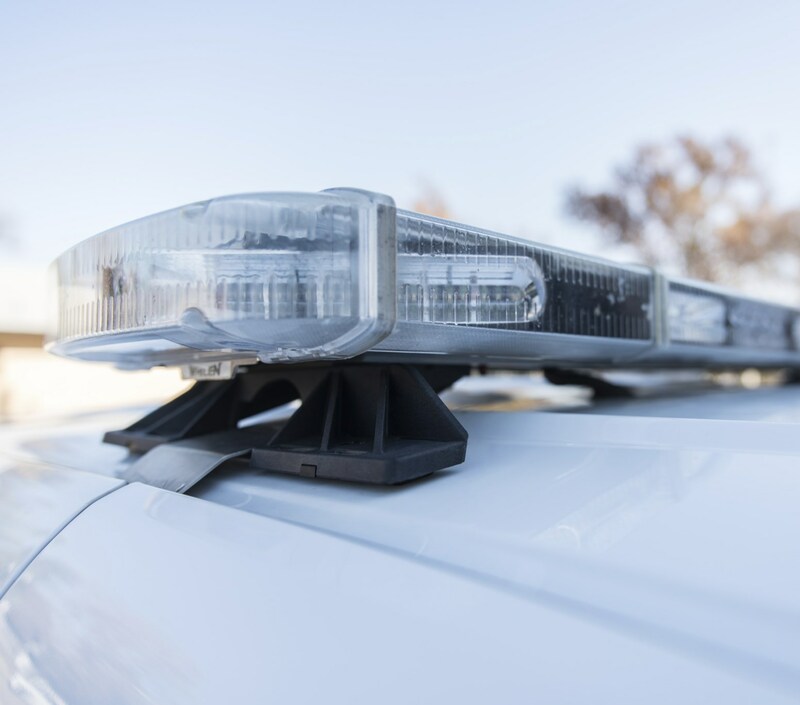 The principles of officer safety carry over to defensive driving more than most officers realize. While this is important for everyone, it is even more important in a high-stress profession like law enforcement. A fitness program and a healthy diet are essential tools for you to effectively perform your job. Stop making excuses about time, budget, convenience, or any other reason you use for being out of shape. If you have been putting this off, now is the time to make the change. Officer suicides have a devastating effect on both the agency and the community. While we have a clearer understanding of the effects of depression and post-traumatic stress than ever before, there is still a lot of work to be done. Officers must learn to recognize when the job is taking an emotional toll and understand that reaching out for help is not only the correct thing to do, but the imperative thing to do for the officer, his or her family, coworkers, friends and the community. There is a growing movement in the law enforcement community to incorporate Gracie or Brazilian Jiu Jitsu in defensive tactics programs. The reasons for this are simple. Jiu Jitsu is a highly effective means of controlling or disengaging from a bigger and stronger attacker while at the same time inflicting a minimal amount of damage. The implications of this for law enforcement are tremendous. As a bonus, physical fitness and healthy eating, as well as on the ability to be confident in stressful situations and find efficiency in all situations, are key components of Jiu Jitsu. The bottom line is the modern law enforcement officer can benefit greatly from Jiu Jitsu. As a law enforcement officer, trainer and supervisor, studying and understanding ways for officers to be safer and more effective is one of my most important duties. While firearms and defensive tactics are part of the equation, there is more to officer safety than those two elements. By training and improving in some of the areas mentioned in this article, officers can approach safety in a more holistic, productive and layered way. Train hard and be safe.